The Journal of the Pembrokeshire Historical Society was the successor to The Pembrokeshire Historian, and is an annual English-language local history journal with academic and general articles on historical and archaeological topics. It was published from 1985. 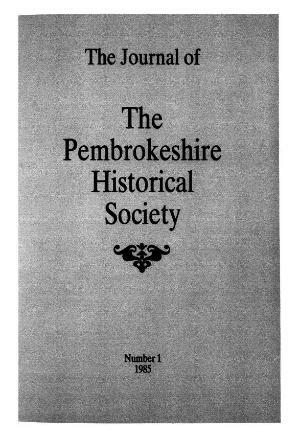 Publisher Details: In 1983 Pembrokeshire Local History Society merged with the Pembrokeshire Record Society to form the Pembrokeshire Local History and Record Society, later re-named Pembrokeshire Historical Society.